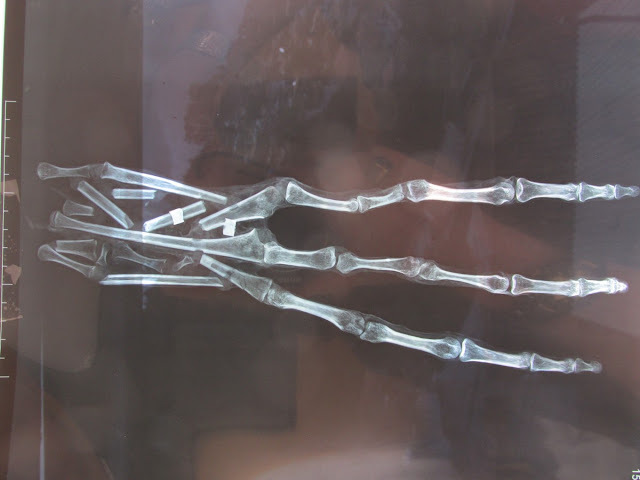 The alleged remains of mummified bodies that were found in Nazca Peru were said to have been alien. However, after analysis, it was said that they were human. Now a second scientist has analyzed them, and it appears that they are not ordinary human beings. BODIES HAD SEVERAL ABNORMALITIES SUGGESTED THEY ARE NOT HUMAN It was said that at first sight, they did look like normal bodies but when looking closer it was found that there were several abnormalities. The heads are bigger; they have eyes that are wider, no ears and a nose that is smaller, along with fewer vertebras that what is found in humans. The remains have sparked a huge debate among those who believe they may be aliens. At first, it was said that the mummified remains found in Peru were alien, but then the scientific community said that the whole thing had been nothing more than a hoax and the mummies had been fabricated and they had not actually been discovered in a cave in Peru. These comments had been made without scientists ever looking at the mummies, and they had not been analyzed properly. The scientists stood up to their claims even though a journalist and UFO researcher from Mexico, Mr. Jaime Maussan, along with his team, gave evidence that suggested that the remains that had been found in Peru were not those of ordinary humans. Months after they were found they have now been analyzed by independent laboratories from around the world and another scientist has been able to study them and he says that they are not a hoax. Dr. Jose Benitez is a doctor of forensic medicine, and he has made claims that are shocking about the mummified remains. He is now the second scientists to have put his work and reputation on the line as he said that the remains might be alien or a new species that has never been seen on Earth. Dr. Edson Vivancoa, a skeletal specialist, made the same claims when he studied the remains. I found a lot of characteristics that make this body entirely different. At first sight, it looked like a normal body but looking closely at every body part we found could find several abnormalities. “For example, the head is bigger, it has wider eyes, a smaller nose, and it has no ears. It has fewer vertebrae that a common human. The bone structure is different; it’s wider. There are only three fingers and three toes. These are the most notable distinctions we could find. There are a few more such as the number of finger joints and the nail beds. The white dust that covers the mummified remains is a special material known as diatom soil. This soil has a unique origin with extraordinary characteristics. It dries, dehydrates and preserves tissue and also has the unusual characteristic of being an insect repellent, deterring insects. For example, the head is more prominent. It has wider eyes, a smaller nose, has no ears. It has fewer vertebrae that an ordinary human. Helping the dehydration process and encouraging the natural mummification process. DNA tests had suggested a different story as one result said that the remains were 100% human, but another set of tests of DNA revealed that the results were inconclusive. Therefore there has been a lot of confusion surrounding the mummified remains as to whether or not they are human or alien. Drs Vivancoa and Benitez are a part of a group that was led by Mr. Maussan, and Benitez had analyzed other discoveries with Maussan. In 2015 they looked at images of what people said was not the body of a human but later on, it turned out that it was, in fact, a mummified child. Steve Meera, a Ufologist from Britain recently interviewed Dr. Benitez, and he said that he had found many characteristics that set the body apart from that of a human being. MUMMIFIED BODIES HAD BEEN COVERED IN DUST THAT IS UNIQUE He went on to say that there had been many abnormalities, one of which was the fact that the bone structure was wider and another was the fact that the bodies had only three fingers and toes. He also said that there were more differences between the number of joints in the fingers and nail beds. He said that the mummified remains had been covered in white dust, which was a material by the name of diatom soil. He said that the soil was unique in origin and it has characteristics that were unusual The findings and conclusions of Dr. Benitez have now been presented in a documentary that has been presented by Steve Meera that suggests that the remains found in Peru are not human. He said that it was essential that people faced up to the possibility that an organic being had been found that is similar to a human being but at the same time very different. He concluded by saying that now steps should go forward to try to find out what the bodies are and where they actually came from.